There are many stories about sending robots into outer space and think to yourself, “needs more apes,” Charlie the moon-exploring Robo-Chimp should be just the thing to make your day. 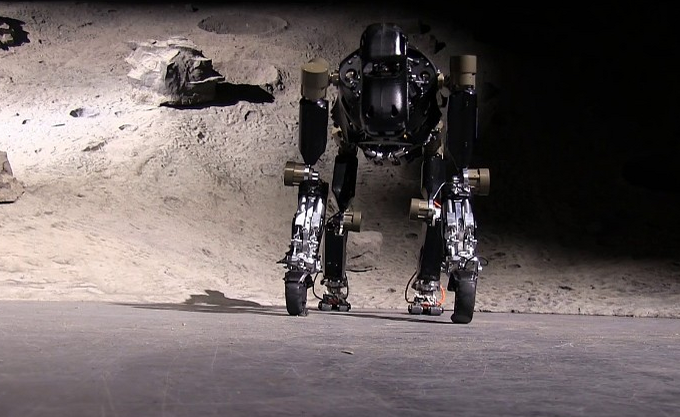 The German Research Center for Artificial Intelligence (known as DFKI in Germany) has modeled a robot design on the chimpanzee, betting that imitating the animal’s versatile range of movements will prove ideal for the wide range of tasks required on an unmanned lunar mission. The Biggest special attraction of chimp Is, that it can choose any form of movement best fits the situation. 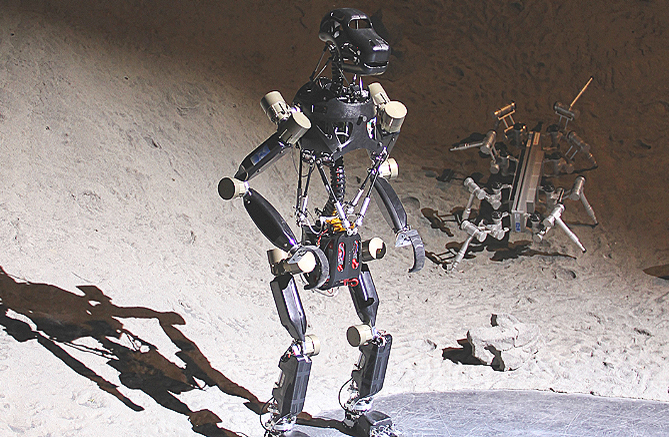 On the whole the robot can walk up and down slopes of up to 20 degrees and it focuses on sophisticated lower limb system that combines the torque and twist of the chimpanzee’s lower body. 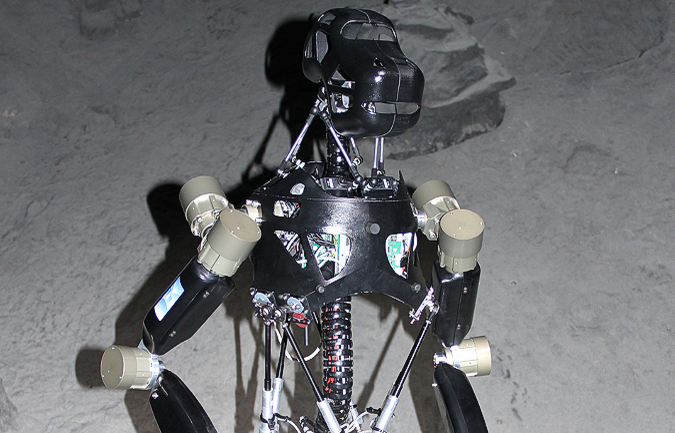 And, like a real chimp, the robot’s feet and hands have multiple sensors and multiple points of contact. The biologically inspired robot itself is an ideal test platform for the foot and spine structures. These structures can extend the already existing locomotion behaviors of a robot and are used contemporaneous as carrier and sensor system. This way, different functionalities are united in one construction unit. Sensors include a pressure sensor array of 43 individual force sensing resistor (FSR) sensors. It also has six additional FSR-sensors used for collision detection. “What you have is an animal that can stand on four legs, giving it stability, but can use its front two legs to manipulate objects,” Kuhn said. The final goal of this project is to develop a robotic system with structural components effectively to improve the locomotion and mobility characteristics.